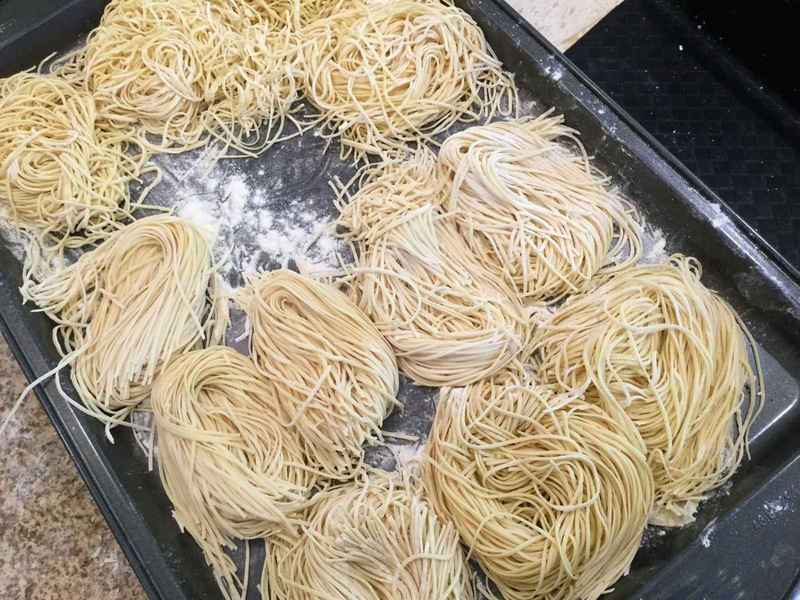 home made pasta | ARTZCOOL'S BLOG! Sometimes, it’s pretty cool to make things just to prove to yourself that you can do it. I see ideas and always think, “I can do that.” Guess what… With Youtube, Pinterest, and Google, you can. Everything you ever wanted to know how to do, learn, or make, is easy to find. Anyone can easily learn how to do anything from installing a toilet, to re-wiring a chandelier, to making pasta. The only thing holding people back is time! And, unfortunately sometimes energy… But, I have a growing list of things I want to do someday, and on some days, a little extra energy. 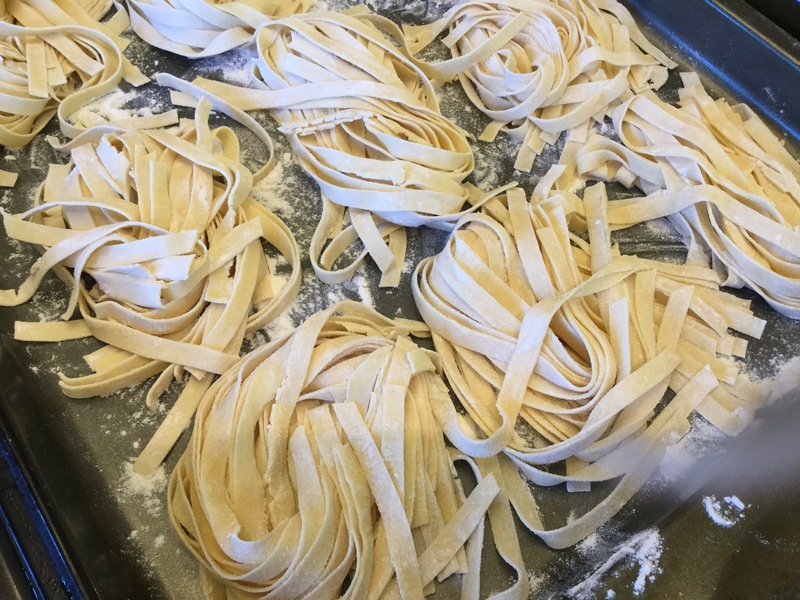 So, today’s item crossed off of my bucket list is making pasta! 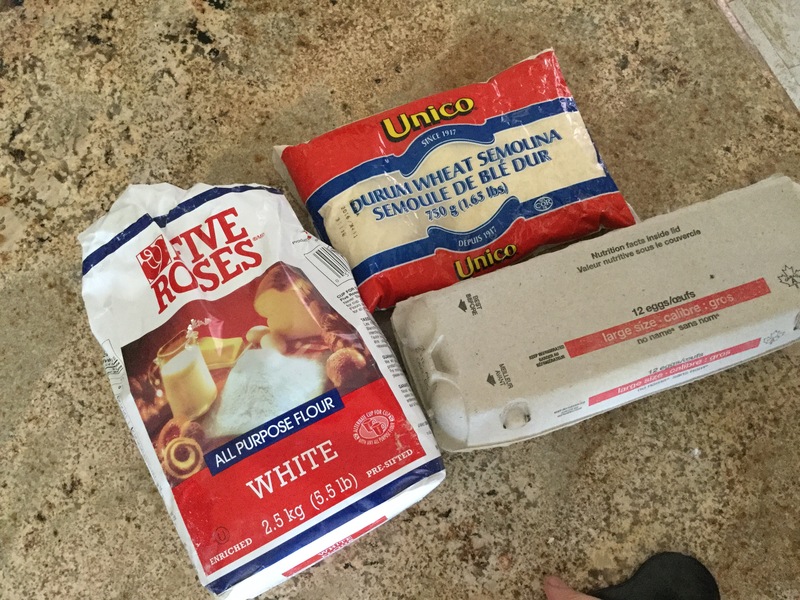 I can’t believe how easy it is to do… Only two ingredients, flour and eggs. 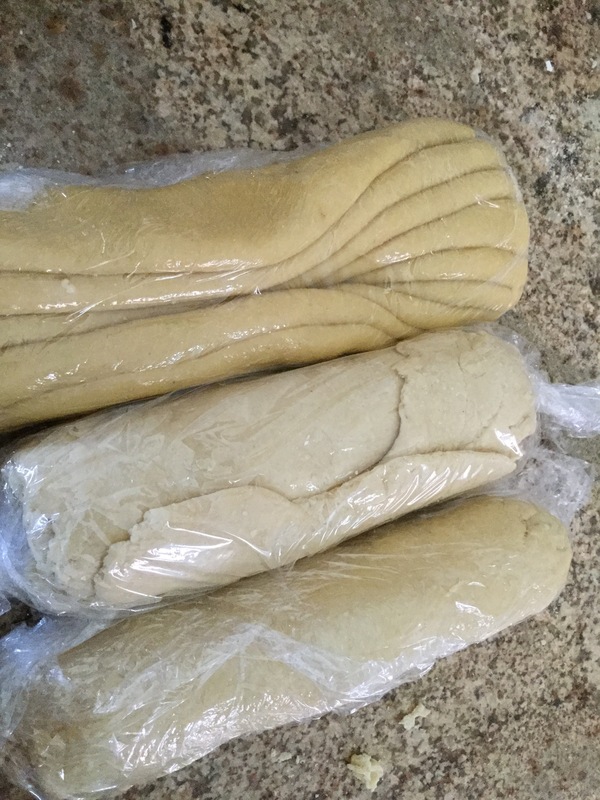 I also bought semolina flour, which is a courser flour used for pasta making, but from what I have read, you can just use all purpose flour, you don’t have to have semolina. My mother in law also sometimes uses whole wheat flower. I had Sam helping me today because the boys were at another basketball tournament. 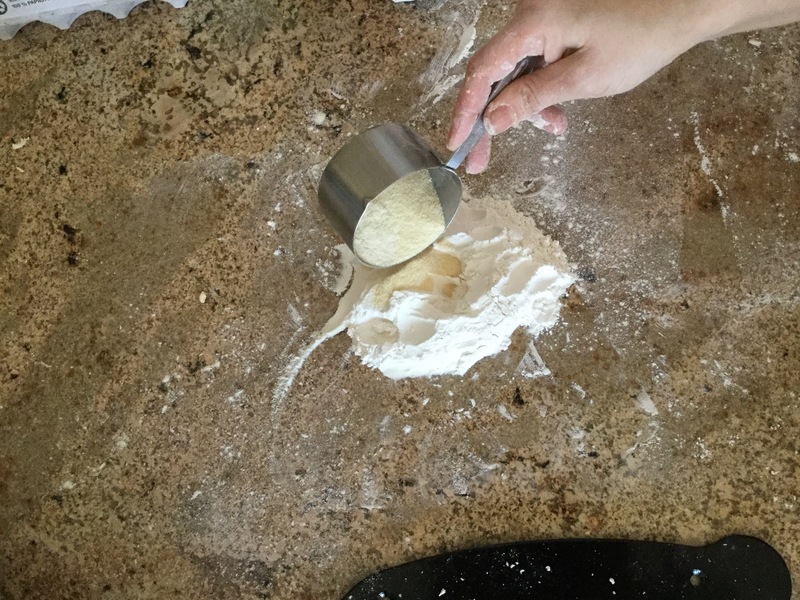 We started by using a cup of all purpose flour, and we mixed in about 1/3 of a cup of semolina. 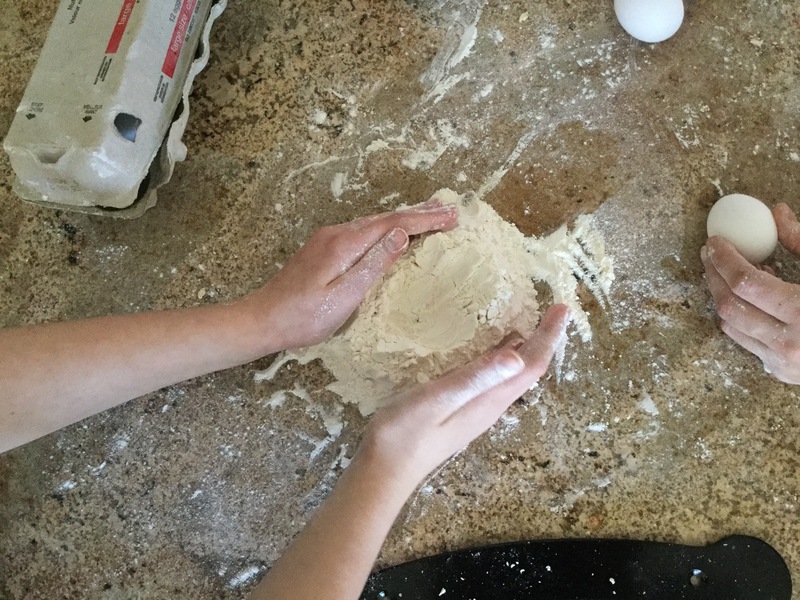 Apparently the best way to mix the dough is with your hands on the countertop. So, we washed our hands and the counter top well before starting. 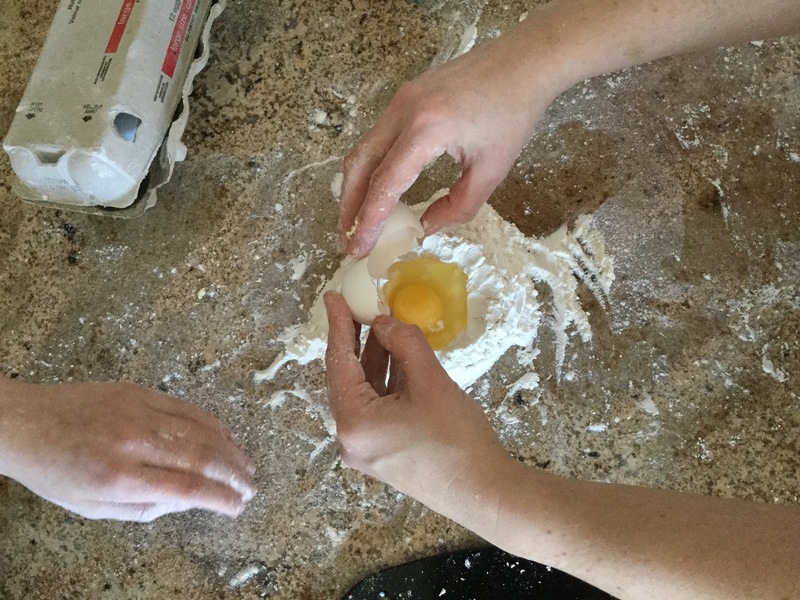 We formed the four into a volcano shape with a crater in the middle, then we cracked three eggs into the middle. Then came the messy part…. 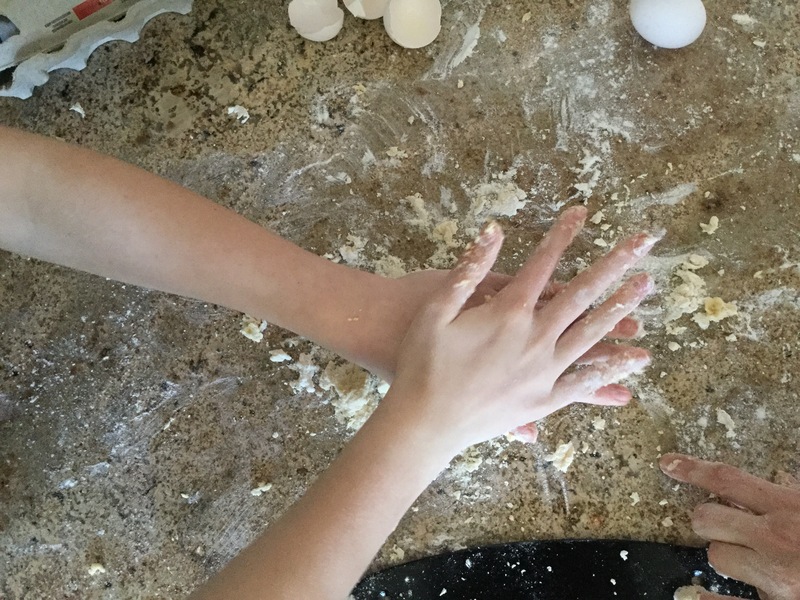 I wish I could share with you a special tip to reduce the amount of stickiness, and flour on the floor (other than avoiding help from an 11 year old) but I’m afraid you just have to get sticky and messy. 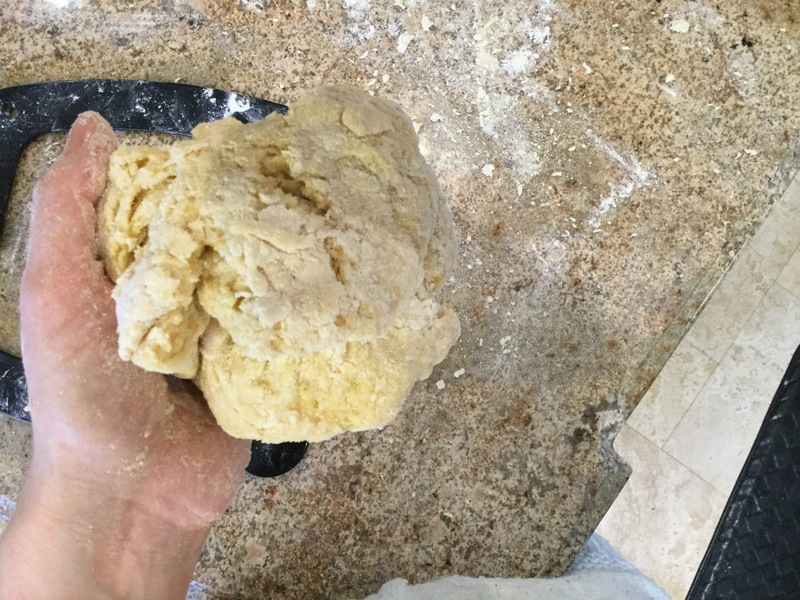 Get your hands in there and start kneading! What we did find was that it was really lumpy and crumbly, and it didn’t look like the video we watched. 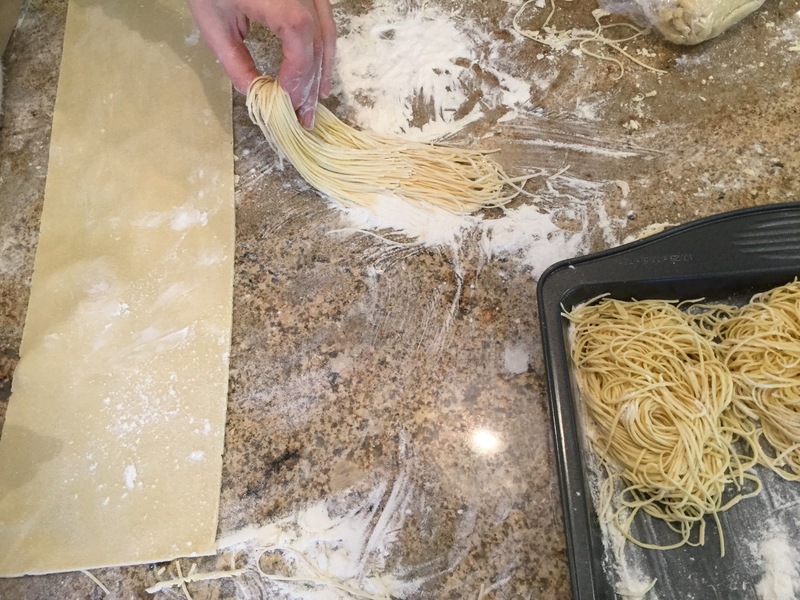 So we watched another video where the person mixed it buy running it through that pasta roller… So we tried that, and after about 20 times through, we could see that worked a whole lot better. Here is what it looked like before…. 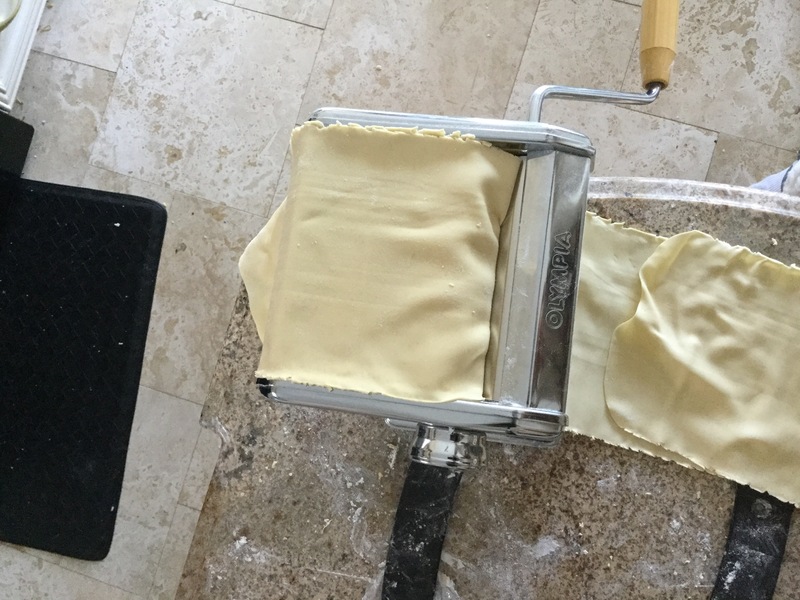 And after about 15-20 times through the roller… I could actually feel when it was ready because it became stretchy when you pulled it. Once it is mixed enough that is has become stretchy, put it aside for at least 1/2 hour. 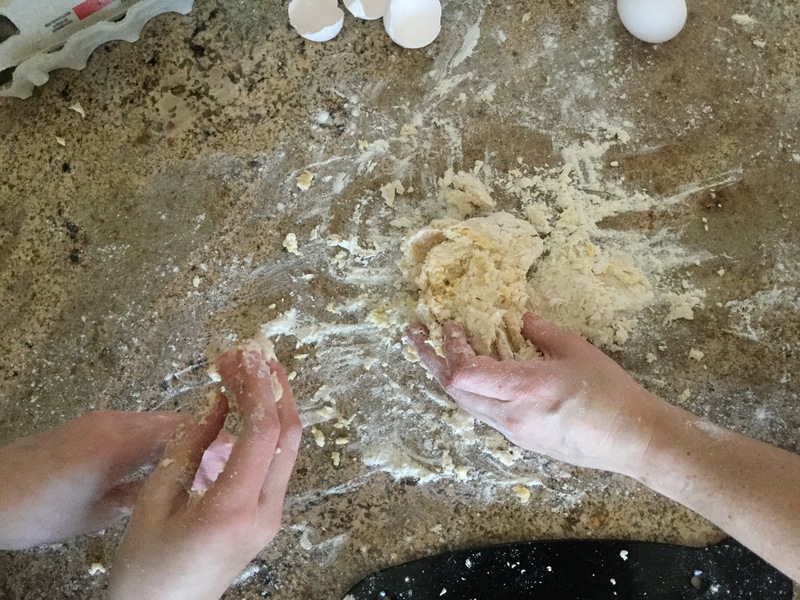 We made three batches… I figured that once we had everything out and flour all over the place, we might as well get the most out of it… Go big or go home, right! 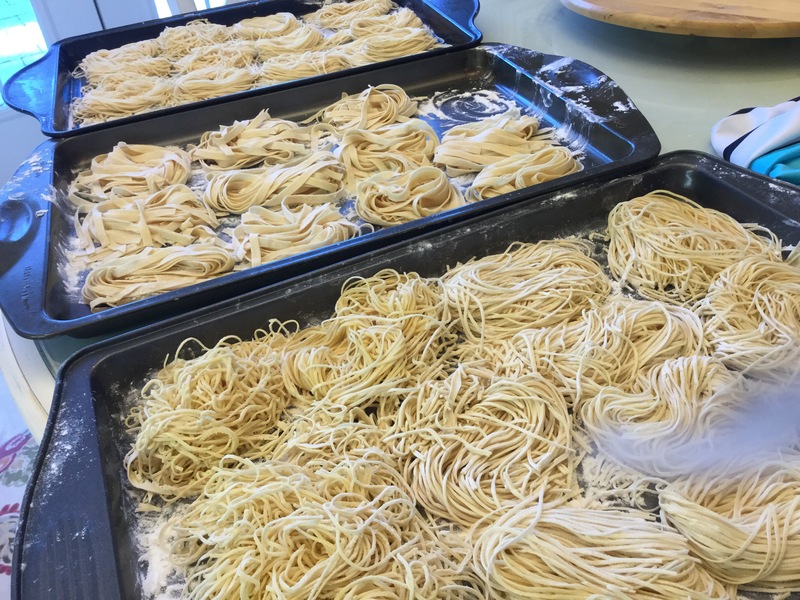 I’m not quite sure why each batch looks slightly different colours at this stage, but by the time the pasta was finished, it all looked the same colour. 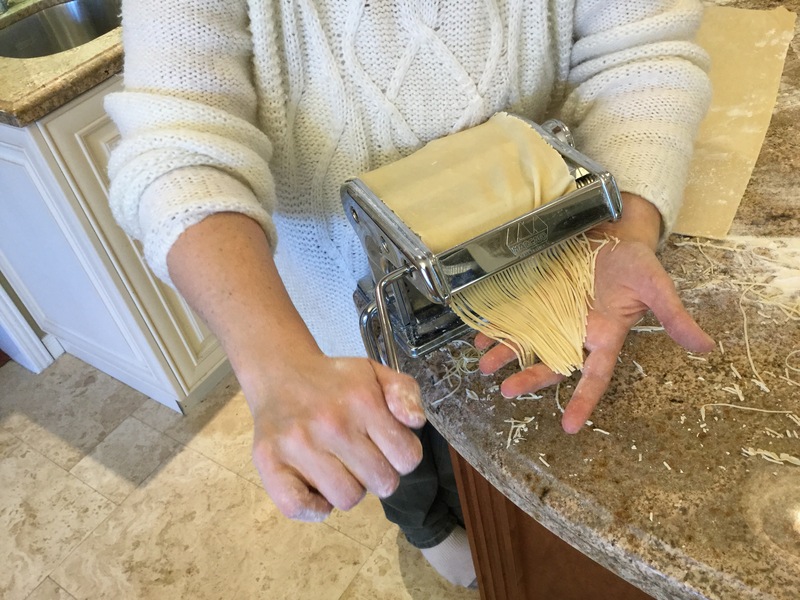 You can kind of see in the picture below the dial on the side of the pasta machine. It has 7 different thicknesses. 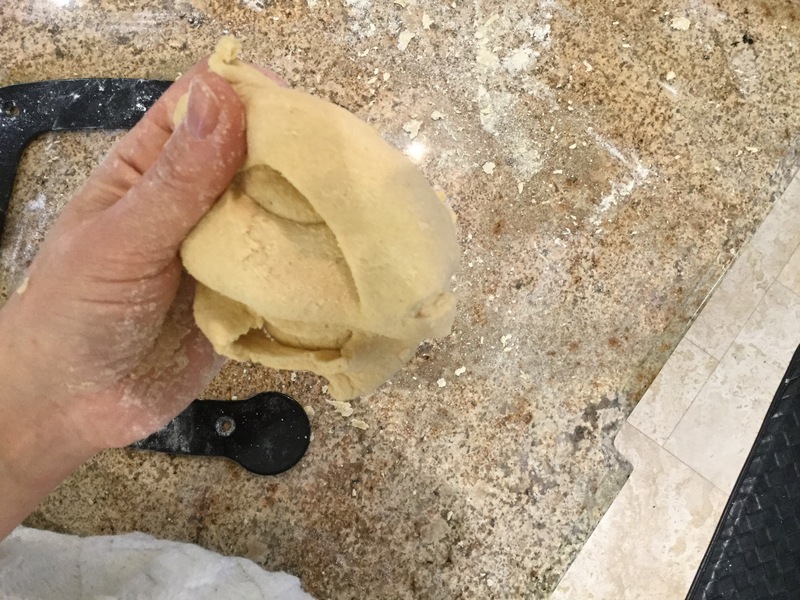 We started at 1, and rolled the dough through at least twice at each thickness. When the length of the sheets became too long, we cut it in half. So once again, a lot of rolling and rolling! Sam and I took turns, but the time we were finished, our arms were sore! My husband remembers that turning the crank for his mom, was his job as a child. Sam liked doing it, but it required a bit of strength until it thinned out. Once we had it rolled out to the thinnest setting, we rolled it through the machine one last time through the cutter setting. The best part is that the pasta freezes beautifully. I just put the cookie sheets right into the freezer, and once they were frozen, I stacked them on top of each other in a Tupperware container. We were so excited about eating it, I totally forgot to take a picture, and it was all gone by the time I remembered! It only takes about 3-5 minutes to cook, and if it is frozen, put it right from the freezer to the boiling water. 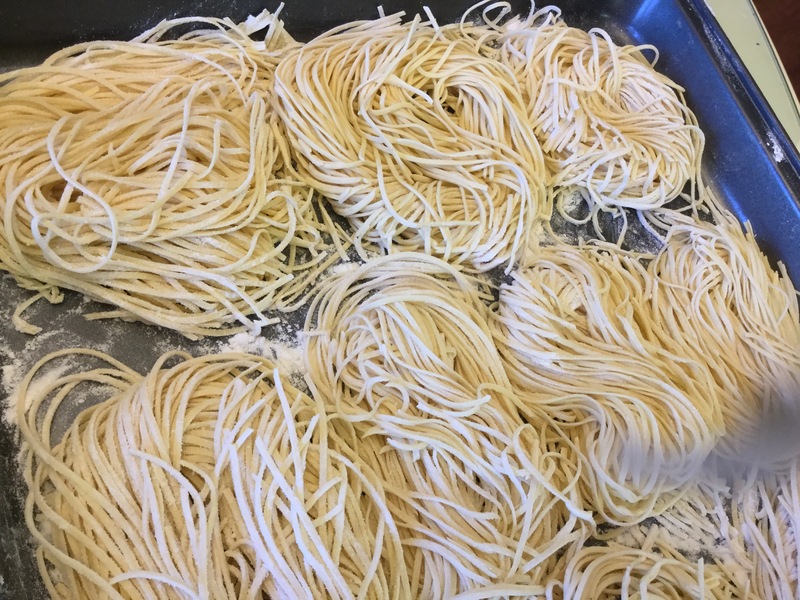 Overall, I don’t think I am going to give up using store bought pasta, but I definitely think I will make it again. It was a lot of work and muscle involved, but it would be a great idea to make for company because all the work can be done ahead of time. And, it really did taste far better than the store bought pasta.